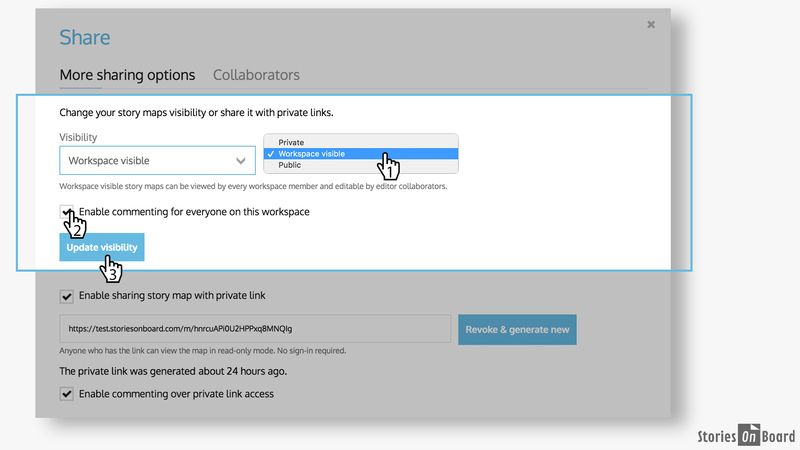 Let us introduce our latest StoriesOnBoard features: Workspace Visible Story Maps and Share Private Link. 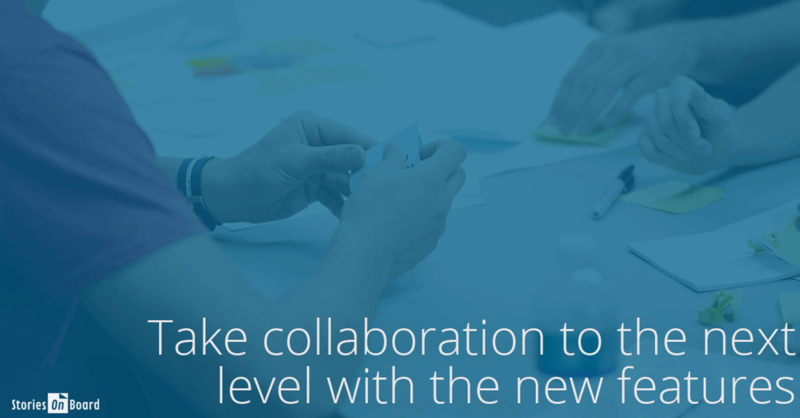 Both features help you work more collaboratively and expand the range of contributors. This feature adds even more transparency to the workspace and boosts teamwork. By changing the story map visibility to workspace visible, the board immediately opens to all members. This feature allows members to view and comment (if enabled), saving you precious time. Use this feature rather than adding team members one-by-one to a new story map. 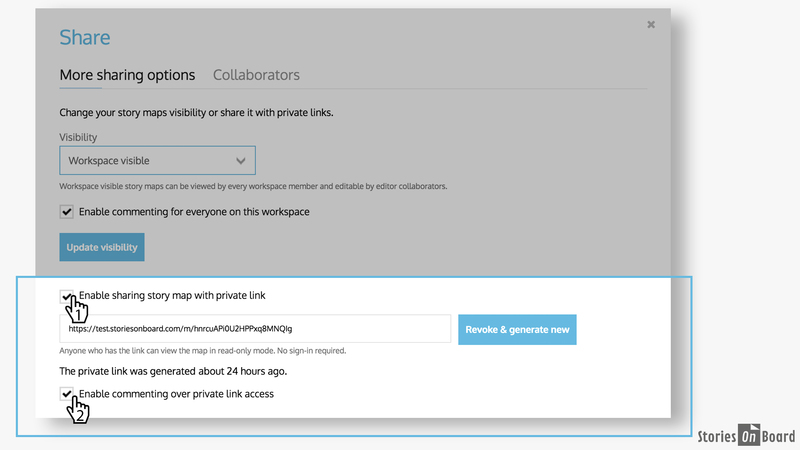 Create and share your story map quickly and easily using the new share private link feature! Your stakeholders will access the story map immediately–no invitation process and no signup. Just select More sharing options on the Share button to generate a unique URL. Using this link, your contributors can open the project’s backlog without having to sign in or sign up at any time. In addition, you can revoke the private link and generate a new one! Viewers can leave comments on cards (if enabled), after filling out the short signup form. Who should use the private link? What are the main benefits of widening story map access to more project members? In sum, both features increase productivity without raising your monthly StoriesOnBoard Budget. Try creating a private link now and share your project!